Home to every corner of life Tokyo has to offer, you’ll always find something new and unique in Shinjuku. It also features the famous Shinjuku station, Tokyo’s busiest transport hub. Shinjuku Ward, located in west-central Tokyo, is one of the city’s busiest areas. Housing over 337,000 people, and comprised of a number of smaller districts, choosing an area to live can be quite the task. 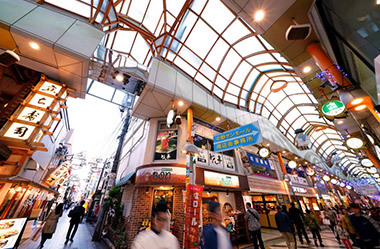 To help you get started, these are the main business and residential areas of Shinjuku. In southern Shinjuku lies the beautiful and spacious Shinjuku Gyoen-Mae Park and the immense Shinjuku Station. The park and station are so large that parts of them stretch into the neighboring Shibuya Ward. Western Shinjuku, just north of Shinjuku station, is home to Okubo, famous as Tokyo’s Korea Town. The main shopping street contains a variety of stores selling both high and low range Korean cosmetics, K-pop goods, and authentic Korean snacks and ingredients. Of course, it’s also the best place in Tokyo to get your fill of delicious Korean barbecue! The quiet residential area of Ochiai rests in northwest Shinjuku. Situated close to the popular transport hub Takadanobaba station, Ochiai provides convenient commuting via the JR Yamanote, Seibu Shinjuku, and Tokyo Metro Tozai lines. Tucked away behind Iidabashi station in eastern Shinjuku lies Kagurazaka. 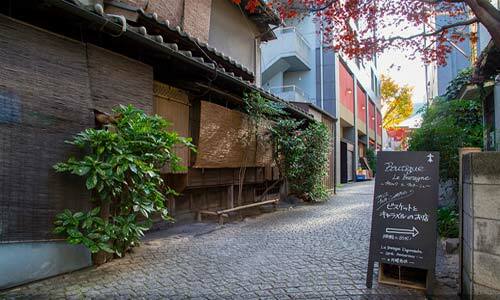 Historically home to Japan’s famous Geisha, Kagurazaka continues to hold an essence of elegance and sophistication. Cobbled streets combined with a French influence help residents to relax away from the stresses of city life. Areas combining quiet residential with business are not rare in Tokyo, but few do it as well as Yotsuya. Situated in south-east Shinjuku, Yotsuya manages to combine great transport access, family comforts and plenty of greenery. The price of an apartment will vary depending on its features, the age of the building, and distance from the train station. Keeping this in mind, the average rent for an apartment in Shinjuku is approximately ¥3,519 per square meter (¥327/ft²). Shinjuku station itself hosts a number of shopping and dining complexes, such as Lumine and MyLord, with plenty of shops and restaurants. The newest is NEWoMan Shinjuku, situated above the south exit, which is slightly more upscale. Surrounding the station you’ll find all the major stores from Don Quijote (miscellaneous goods) and Bic Camera (electronics) through to Zara and LUSH, catering to even the fussiest shopper. 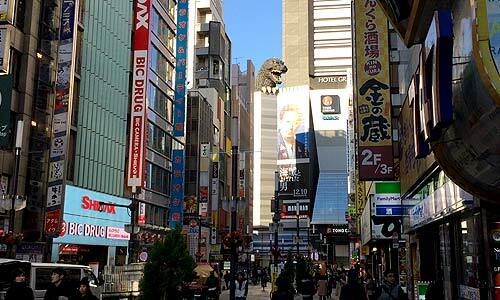 Watch out for Godzilla in Kabukicho! 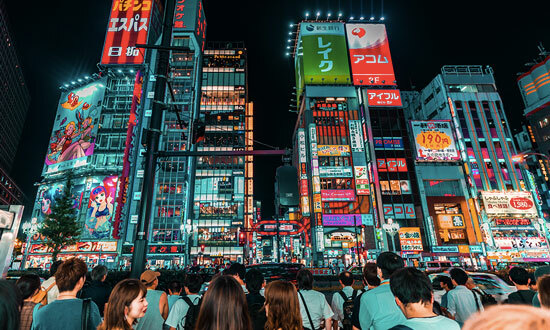 North of Shinjuku station is Kabukicho, known as Tokyo’s red light district, featuring more alcohol and food options than any sensible person would attempt on a night out. Despite its reputation, the area is popular among both foreign tourists and Japanese salarymen after work for a quick drink. Not everyone is after the seedier side of things, but perhaps don’t hang around during the early hours of the morning. Shinjuku is an especially popular area with movie-goers, offering the Toho, Picadilly and Wald 9 Cinemas. A film fan will have plenty of popcorn-filled evenings for all the big blockbusters. In the lesser-known district of Kagurazaka, you can spend hours wandering the cobbled footpaths and enjoying the boutiques and cafes. Tokyo’s highest concentration of French restaurants and bakeries, topped with authentic French music playing on all the street corners, make this a must visit for anyone hankering for a delicious pastry and cup of coffee while they watch the world go by. There are several gym chains located in Shinjuku but the most prominent is Anytime Fitness, with twelve gyms spread across the district. Shinjuku’s public gym, the Shinjuku Sports Center, is situated near Takadanobaba and offers weight machines and a lap pool for only ¥400 entry. Please click the map above to see the location of all the gyms. 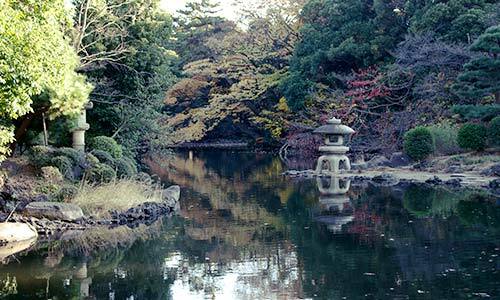 The most well-known park in Shinjuku is, without a doubt, Shinjuku Gyoen. Just a short walk from Shinjuku station, the park is divided into three main garden areas showcasing Japanese, English, and French landscape design. 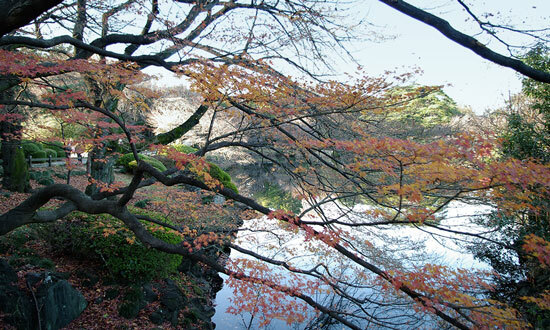 It also features over a thousand cherry blossom trees and is a favorite during the viewing season. If you have children, Meiji Jingu Gaien is popular for its fun playground equipment and nearby eateries. Both parks have very affordable entry fees. NCGM Center Hospital, Tokyo Medical University, and Seibo Hospital are three fully-equipped hospitals in Shinjuku offering care in English and/or interpretation services. All three facilities provide English guidance on their websites on how to receive medical care. Very few hair stylists and beauticians in Shinjuku advertise themselves as English-speaking, so those craving a pampering will find themselves needing to visit other areas of Tokyo such as Minato and Shibuya. There are two small international schools situated in Shinjuku. Tesoro International School offers classes for children up to 6 years of age, and Waseda International Christian School provides an English curriculum and bible study for students in elementary, middle, and high school. Despite the lack of international schools in the immediate area, Shinjuku’s central location and large number of train lines make it easy for students to commute to school in other areas of Tokyo. You can read our article on the Top International Schools in Tokyo for more information. There are a number of Seijoishi (成城石井), Kaldi Coffee Farm, and Gyomu Super stores located across Shinjuku which sell a variety of imported goods. Hanamasa, located in western Shinjuku, is a wholesale supermarket very popular with the expat community for its large cuts of meat. It’s also great if you’re shopping for a family as they sell many ingredients in bulk at discounted prices. If you’re looking for ingredients from other parts of Asia, particularly Thailand, make sure to visit Asia Superstore in Okubo. Want to move to Shinjuku? Let us find your new home.